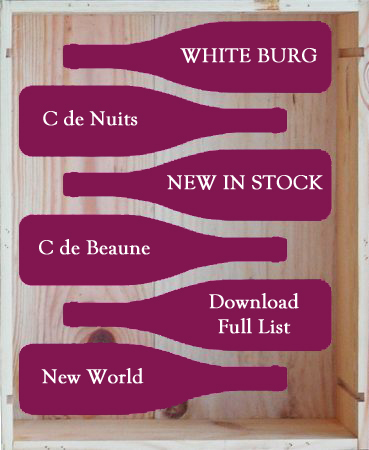 www.hpb-wines.com. BY ACCESSING THIS WEBSITE AND/OR PLACING AN ORDER, YOU AGREE TO BE BOUND BY THESE TERMS AND CONDITIONS. Robert Peter Sidebotham trading as Hand Picked Burgundy. We are registered for VAT. Our VAT registration number is 916 1007 60. 1.1 Please note that we do not supply alcohol to anyone under the age of 18. As part of the checkout process you will be required to confirm a declaration that you are over 18, and that you are not purchasing alcohol on behalf of someone under 18. 1.4 When sourcing and storing the wines we offer, we take great care to ensure that they are in good condition, commensurate with their age. All wines are described as accurately as possible on the website, but we specifically exclude any guarantee of or responsibility for the condition of any wine, or for whether the wine as tasted corresponds to the quality that might be expected or described. In particular we do not offer any refund or credit in respect of "corked" bottles - this is the responsibility of the producer, to whom you should address any complaint. A specific exception to this policy is made for wines listed on our "Stock List" and details of this exception can be found in clause 4.9. 2.1 You are deemed to place an order with us by ordering via our online checkout process. As part of our checkout process you will be required to confirm a declaration that you are over 18. You will also be given the opportunity to check your order and to correct any errors. We will send you an order acknowledgement, detailing the products you have ordered. 3.1 All prices shown on our website and pricelist include VAT. 3.3 Our prices are reviewed and updated each month. (b) where goods have already been dispatched to you, by returning goods to us in accordance with clauses 4.2 or 4.3 below. 4.2 You can return goods you have ordered from us for any reason at any time within 14 days of receipt for a full refund or exchange. The costs of returning goods to us shall be borne by you. Upon receipt of the goods we will give you a full refund of the amount paid or an exchange credit as required. 4.3 In the case of gift orders only, the goods can be returned after 14 days for any reason at any time up to within 30 days of receipt. The costs of returning goods to us shall be borne by you. Upon receipt of the goods we will give you an exchange credit. 4.5 In the case that any wines are damaged during transit or the wrong wine is delivered, we will offer replacement, full refund or an exchange credit, subject to clauses 4.6 and 4.7. 4.6 Claims for breakages or missing bottles must be notified in writing on the consignment note at the time of delivery, and a copy given to the representative of the delivery company. Please note that we will only be able to consider claims for loss or damage in transit if (a) received in writing (including by fax or e-mail) within 3 working days of delivery, and (b) carriers' paperwork has been signed with the necessary qualification as above. 4.7 In the case of delivery of the incorrect products, you must notify us in writing (including by fax or e-mail) within 3 working days of delivery. The incorrect wine will need to be returned, the cost of which shall be borne by us. 4.8 Claims for non-delivery must be advised to us within 21 days of order. 4.9 For wines listed on our "Stock List" - not for those on our "Broking List" - we offer a full replacement or refund for any faulty bottles (prematurely oxidised, bacterially spoiled, corked, or spoiled by heat). To make a claim for a faulty bottle, you you must notify us in writing (including by fax or e-mail) within 3 months of delivery to you of the bottle concerned. 9.1 To register with www.hpb-wines.com you must be over eighteen years of age.